When examining current definitions used in the relevant literature, the concept of chemical speciation seems to mean both (1) the analysis of typical chemical species (i. e. free ionic, complexed, adsorbed, precipitated or co-precipiated forms), and (2) the partitioning of metals into these forms and their transformation in environmental systems (Reuther, 1999). At the same time, speciation has become a rather holistic attempt to integrate both chemical (mobility, reactivity) and biological (bioavailability, toxicity) aspects of transport, uptake and accumulation processes (see Tessier and Turner, 1996). However, an obvious confusion can be observed in the scientific literature regarding the use of the term "bioavailability". Metal bioavailability is a concept, which is still hard to define. It may include 1) the physico-chemical availability of metals in the exposure medium, 2) the actual demand of biota, and 3) the toxicological behaviour of metals inside the organisms' body. Chemical concepts for defining bioavailability seem further developed than biological ones. When speaking about "bioavailable metals", Lee et al. (2000a), for example, address metals that are available from environmental media for bioaccumulation, whereas "bioaccumulation" in turn is supposed to be an indicator of a particular metal dose. Also Brun et al. (2001) treat "bioavailability" more quantitatively, namely as the portion of the total metal concentration (here: copper) in soil that can be taken up by the roots of a given plant (in contrast to uptake, toxicity and accumulation). Ruby et al. (1999) distinguish between absolute (the fraction reaching the target compartment) and relative (or comparative) bioavailability (of different forms or for different exposure media containing the substance). They also use the term "bioaccessibility" when it comes to the fraction that is soluble in the gastrointestinal tract and consequently available for direct internal absorption in higher animals. A more restricted meaning of "bioavailability" is given in Morton et al. (2000), who associate it with the amount of a metal that can be taken up by microorganisms such that a physiological response is observable. In a similar way, Allen (2002) adopted to the definition that bioavailability "is the amount or concentration of a chemical that can be absorbed by an organism thereby creating the potential for toxicity or the necessary concentration for survival". 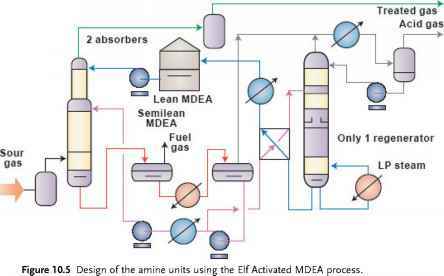 Bioavailability should be considered as a dynamic process consisting in a physicochemically driven desorption (the chemical supply or availability) and a physiologically driven uptake process (biological availability). Because the level of biologocally available metals must reach a certain threshold level at the target site before effects can occur (body residue concept), toxicological bioavailability was defined as the final determinant of toxicity (Peijnenburg, 2002) (see also chapter 6). Although we know that bioavailable metals may not be also toxic, the terms "sediment bioavailability" or "sediment toxicity" are still treated in a rather indiscriminate way in the evaluated literature. The same holds for possible linkages between bioaccumulation and toxicity, which are difficult to establish, because biota can detoxify bioaccumulated metals (e. g. via metallothionein or granule induction) or even develop tolerance to accumulated metals. Moreover, there is an emerging evidence that metals bioaccumulated from food have novel chronic adverse effects on aquatic biota (see chapter 7, and references given in Lee et al., 2000a). Here, we will use the term "bioavailability" to designate those metals or metal species that can be taken up by organisms both in an active (e. g. by extracellular digestion) or passive (e. g. by diffusion across cell membranes) way.